Seismic unrest at weak energy levels continues. 5 small earthquake swarms were recorded over the past week, the most prominent having 213 events up to a maximum of magnitude 1.9 during 5 hours on 19 Jan. Most quakes are associated with rock fracturing at shallow depths (3 km) beneath the La Plazuela crater. Pasto reports no unusual surface activity at the volcano. INGEOMINAS reported slightly elevated seismic activity during the previous week at the volcano. Small earthquakes related to internal fluid movements are clustered at shallow depth (0-2 km) beneath the La Plazuela crater. Seismic unrest continues at low levels with little changes over the past weeks and months. 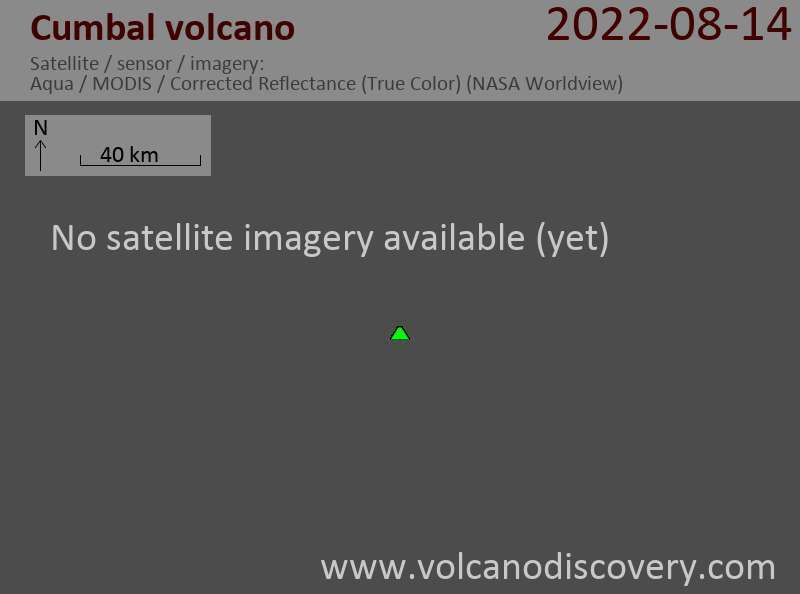 GEOMINAS keeps the volcano at yellow alert level. No significant changes occurred during the past months. Seismic activity remains above background. The latest significant event was a shallow (and felt) mag 2.1 quake at 14 km distance from the summit on 6 Oct.
INGEOMINAS reports a decrease in seismic activity during the past week, but maintains "yellow" alert level for the volcano. A volcanic-tectonic earthquake of magnitude 2.5 occurred on 25 May at 21:53 local time at 6 km from the volcano distance. Pasto volcano observatory reports no significant changes and maintains yellow (unrest) alert level. The only sign of activity is continuing slightly elevated seismicity (up to magnitudes 1) at shallow depths (less than 3 km) under La Plazuela crater on the northern flank of the volcanic complex. Pasto observatory reported an increase in seismic activity during the past week, with many small volcanic-tectonic quakes u to magnitudes of 2.6 at varying depths of up to 20 km underneath of La Plazuela crater on the northern sector of the volcanic complex. Seismic activity has remained low during the past week. INGEOMINAS reported a slight increase in seismicity related to internal fluid movements during the past week. Degassing as the only surface activity was observed on clear days. Elevated seismicity, but lower than in previous weeks, continued. 2 swarms of quakes with 79 and 81 events occurred on 2 and 4 November. 3 weak seismic swarms of low energy events occurred during the past week: one on October 25 (with about 200 events), and two on October 26 (with about 316 earthquakes). 2 swarms of earthquakes of low energy level occurred on 9 October between 1:00 pm and 6:30 pm with approximately 50 events, and between 7:00 pm on Oct. 11 and 6:00 am on October 12 with 112 earthquakes. Slightly elevate seismicity continues. A small swarm of earthquakes of low energy occurred on October 4th between 09:00 am and 12:30 pm local time when about 50 earthquakes were recorded under the volcano. Weak seismic unrest continued over the past week. A small weak earthquake swarm was recorded early on 30 August. Seismic unrest has been increasing. 2 earthquake swarms occurred on 23 and 26 August, with 115 and 94 quakes, respectively. White gas emissions from the El Verde fumarole could be observed on 24 August. INGEOMINAS mintains yellow alert for the volcano. Seismic unrest continues at Cumbal volcano with little changes to the past weeks. Direct observations are difficult due to bad weather. Seismic signals indicating fluid movements under the volcano are still present but have decreased. Such signals occurred on 26, 27, 29 and 30 July. The emissions originated from fumarolic fields located in the main crater on the NE side of Cumbal and Mundo Nuevo crater on the SW side.